We can tow everything from a smaller vehicle to a majority of heavy duty trucks. Need a heavy duty wrecker or fleet breakdown service? 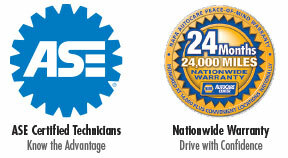 Diagnostics to Engine Transmission Replacement – We aren’t afraid of the big jobs! We fabricate or repair metal automotive and truck industry parts. In many cases we can repair commercial truck bodies. We can customize your body or build a complete body from scratch. Smaller vehicle to a majority of heavy duty trucks!